Produces carbon build up in the turbo, engine internals and the inlet manifold. 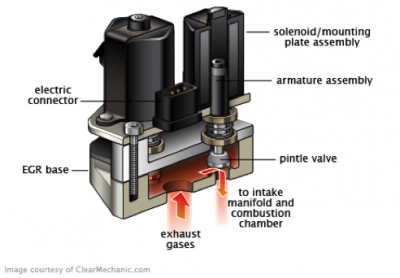 The main issue that occurs is the valve sticking open which then starves the engine of oxygen causing the vehicle to become very sluggish and inefficient, and can sometimes leave the vehicle inoperable. There is also electronic internal motors and sensors which are also known to fail. So if you have the EGR valve removed what will this result in? First of all we will blank the EGR which will stop any exhaust gases going through the valve and entering the intake system. Blanking is only necessary when the valve cannot fully close due to soot build up. The next stage is to remap (load new software) the ECU with the EGR functions removed which tells the EGR valve to stay closed permanently. This stage is imperative to the whole process and it is extremely important that it is done correctly. We can also incorporate a performance/eco tune to increase the performance and fuel efficiency of your vehicle.